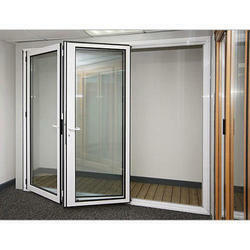 We are leading service provider of Aluminium Door Fabrication Service. Capitalizing on the ability of our well-trained workforce, we are readily engaged in providing Aluminium Door Fabrication Service. A team of well-trained staffs is offering these services as per the thorough demands of our clients. We believe in offering a precise solution to client’s needs and assist them accordingly.